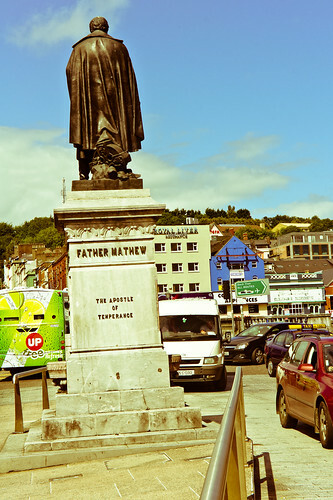 Father Mathew (the temperance priest) was a Roman Catholic priest who was a native of Co Tipperary, Ireland. He was educated at St Canice’s Academy, Kilkenny City. With William Martin he led a campaign to promote temperance in Ireland and abroad during the 19th century. Theobald Mathew was born at Thomastown Castle, near Cashel, Tipperary, Ireland in 1790. In 1807, at the age of seventeen, he entered the Royal College of Saint Patrick Maynooth to study for the priesthood. He left after a year and joined the Capuchin Order in Dublin where he was ordained a priest on April 17th 1813. Father Mathew returned to Kilkenny city for his first assignment as a Capuchin. A year later he was transferred to the Capuchin Friary (South Friary) in the city of Cork. He became a well-known and popular figure in Cork where he organised schools, benefit societies and a library. Drunkenness was a widespread and serious problem in Ireland at the time. Father Mathew had frequently spoken on the dangers and evils of excessive drinking and many temperance efforts had failed. A Quaker called William Martin had begun a campaign of total abstinence in 1835. Father Mathew joined the campaign by taking the Total Abstinence Pledge on April 10th 1838. What became known as ‘The Pledge’ was a commitment to refrain from taking alcohol for life. The temperance movement spread quickly and Fr Mathew began to travel the country encouraging people to take the pledge. By the early 1840’s close to 3 million people had taken the pledge. James Haughton, father of Samuel Haughton of Burrin Street Carlow, became one of his greatest supporters. One of those to take the pledge was Frederick Douglass, the former slave, who was visiting Cork in 1845. The temperance movement appears to have had a big influence on crime. It also caused the closure of many distilleries and breweries. The number of people committed to jail or sentenced to be transported fell by almost 50% between 1838 and 1845. Other crime rates also fell dramatically. Fr Mathew took his campaign to Britain, beginning in Glasgow in 1842. He then went on to visit cities such as Liverpool, Manchester, and London. During the famine in Ireland he helped to organise societies for the collection and delivery of food. He also used his influence to raise funds in Britain and America for victims of the famine. Fr Mathew went to the USA in 1849. He had dinner at the White House with President Zachary Taylor and was received in Congress with the highest honours. During the following two and half years he travelled widely in America encouraging people to take the pledge. When Fr Mathew visited The USA slave abolitionists hoped he would support their cause. They were hopeful because in 1841, with over 60,000 Irish people (including Daniel O Connell), Fr Mathew had signed a petition encouraging Irish people in the USA not to support slavery. However to the great disappointment of Douglass and the anti-slavery movement Fr Mathew failed to support them. Having spent two and half years in the USA and suffering from ill-health Fr Mathew returned to Ireland in 1851. He died in Cork at the age of 66 on December 8th 1856. By the late 1800’s the temperance movement had begun to lose its influence. In Ireland it was replaced by the Pioneers Total Abstinence Association in 1898. Fr Mathew was born in the year 1790 On This Day. The turnpike road (toll road) connecting Dublin to Kilkenny city via the town of Carlow, Ireland was completed in 1731. 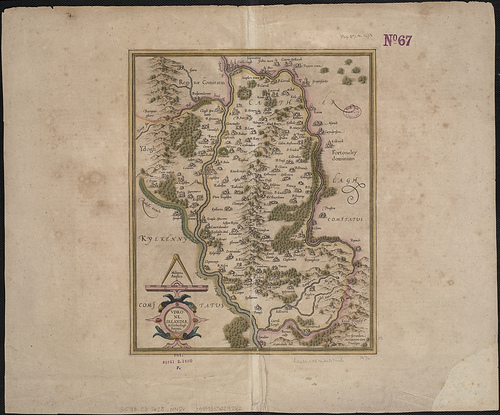 The road had been built in two parts, Dublin through Naas to Kilcullen (1729) and Kilcullen to Kilkenny (1731). The road was part of network of routes that spread throughout Ireland connecting with roads developed by the Grand Juries (County Councils). 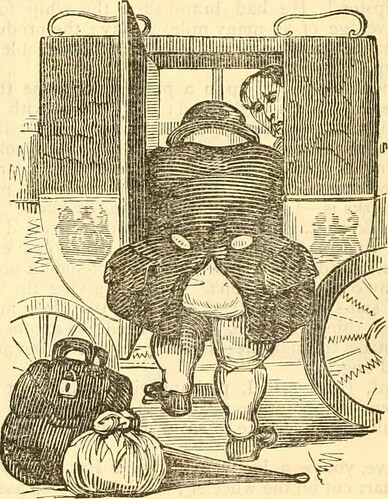 The development of the turnpikes improved travel time for passengers and they were used by the Irish Mail Coach when it was introduced in 1789. The Turnpike Acts for the first time, introduced a planned system of roadbuilding in Ireland. Up until then, roads in Ireland mainly built in medieval times, were of very poor quality. It was one of the drawbacks of, unlike England, not having been invaded by the Romans. The improvement in Irish roads had begun with the opening of the 45km (28 mile) turnpike road from Dublin to Kilcullen in County Kildare in 1729. 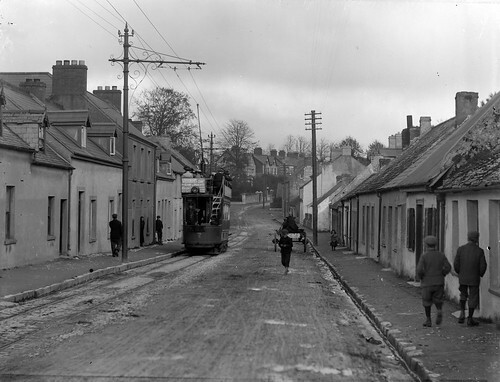 At the same time as the road to Kilkenny was being built, roads such as Dublin to Navan and roads leading out of Belfast, Cork and Limerick were also being built. During the following decades the road network began to radiate from the major urban centres. Eventually there were five turnpike roads passing through County Carlow. Many of the roads in existence today were built during this era. The turnpike along the eastern corridor linking Dublin to Belfast and the road to Cork were completed by the middle of the 18th century. The improvements in roads introduced a significant improvement in travel times and the development of more regular services. By 1737 coach services were available from Dublin to places such as Drogheda, Kinnegad and Kilkenny twice a week. However long distance journeys involved overnight stops. In the early 1740’s the journey from Dublin to Belfast took two days in Summer and three in Winter. Inns which had been opened along the routes of the new roads were the stop-off points for the coaches. The stop-off point in Carlow town the ‘Great Inn’. 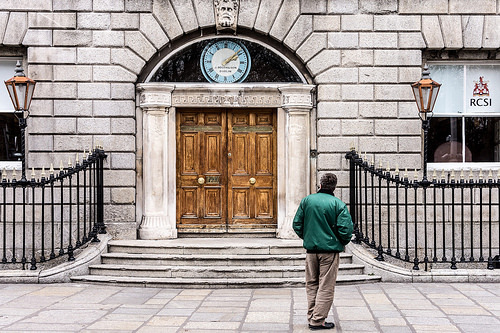 The mail-coach system was first introduced to Ireland in 1789. The initial service was on routes from Dublin to Belfast and Dublin to Cork. The system was gradually extended countrywide. The first mail-coach service from Dublin to Waterford took place in 1790. The Irish Mail Coach on its first journey from Dublin to Waterford made a stop in Carlow town in the year 1790 On This Day.